Roomheaters combine the economy, efficiency and clean simplicity of an enclosed fire with all the comfort and welcoming appeal of a real fire. Simple to control and fast to react to your heating needs, roomheaters provide radiant heat for direct warmth as well as creating a continuous flow of convected warmth, which circulates throughout the room. 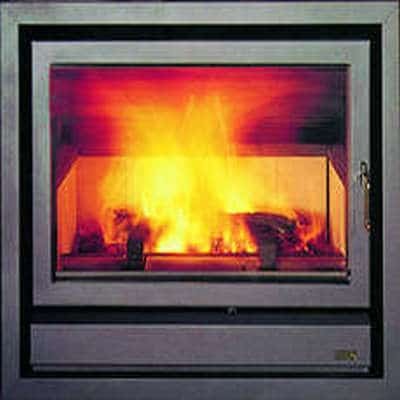 Roomheaters come in a wide range of designs, sizes, capacities and finishes. Models are available for room heating only or, with various capacities of integral back boilers, can heat radiators and provide abundant domestic hot water. There is a wide range of attractive styles and designs to choose from. Roomheaters have a simple ash pan to allow residue to be removed without letting the fire go out. For more information on roomheaters and stockists, visit the websites of leading manufacturers on our Links page or telephone our local call rate Helpline 01773 835400.